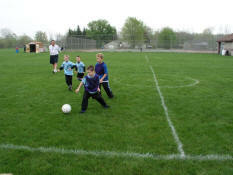 This years soccer was divided into two sessions, Spring and Fall. The Spring sessions were more of what we did last year, with games and practices split in half, and in our opinion not very organized. 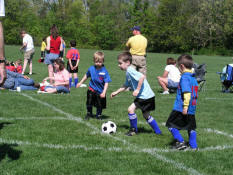 Tyler chasing after the ball during a game. 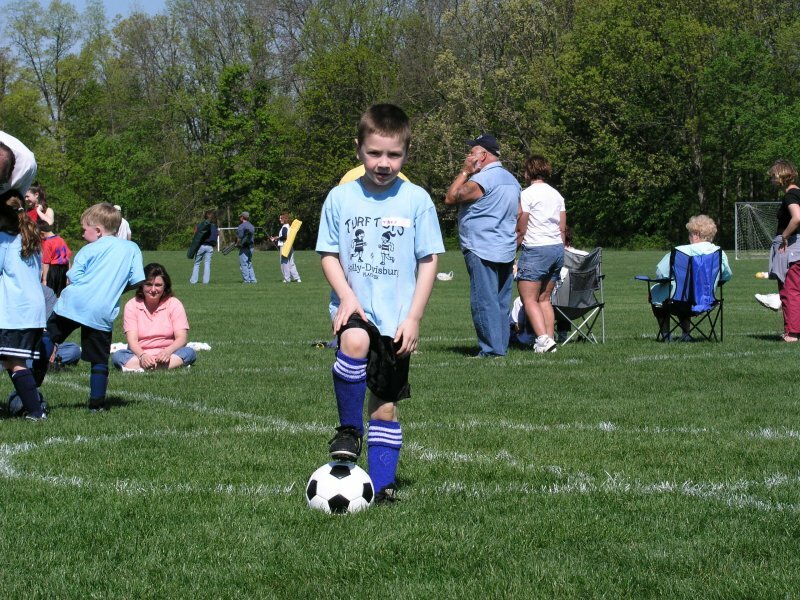 Tyler trapping the ball. 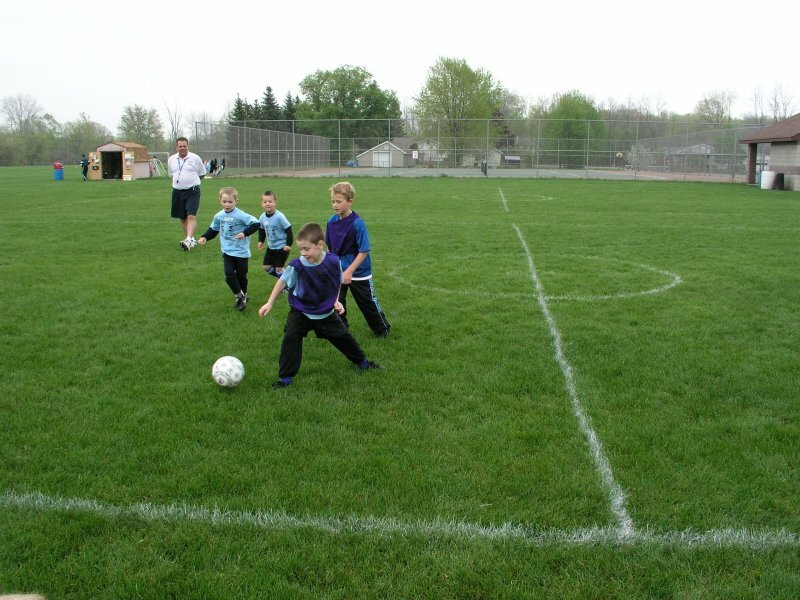 Tyler kicking the ball to start a game. 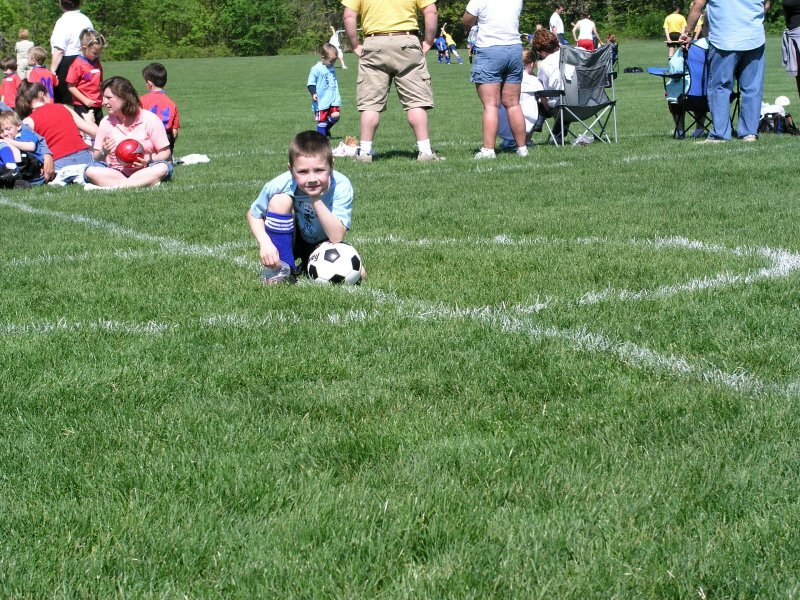 Tyler posing with his soccer ball so that Sammy could take a picture. So far, the Fall sessions have been better. Although we have only been to one game so far, Tyler has a better time with the afternoon starts, and he also is going to have the same team and coaches each week. The Fall session also began on the same day as the annual Carry Nation Festival in town, and Tyler walked with the AYSO float once again. The AYSO float. Tyler running to hand out candy. Samantha posing during the parade. Tyler participating in drills before the game begins. Tyler celebrating a goal by his team. Tyler getting ready for a kickoff. Tyler celebrating his goal. Tyler lining up once again to play. Tyler after the game was over. 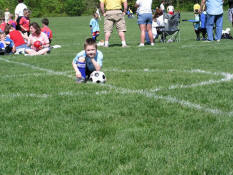 He had a great time today, and if it continues so may his soccer career. Tyler participating in a drill. Tyler getting ready to kick during a game. Tyler lined up for a practice drill. Tyler kicking the ball into the goal. Tyler kicking the ball into the net again. Tyler awaiting a throw-in from a teammate.